When it comes to funding any sort of home project when it comes to buying, you must make sure that you’re going to be able to have the right amount of funds to do so. Where do these funds come from though? This is a big question that you should ask yourself. 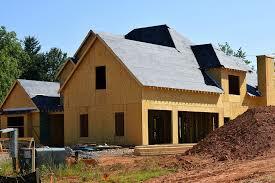 Here are some of the options that others have used when it comes to purchasing a home build. Bank loans are one of the most popular choices for homeowners to go with when financing a home build. With a new home build loan, they can obtain the necessary funding and know how much they can work with when the time comes to find a builder. This is a great thing, since it leaves guessing out. There are specialty loans out there for some that require a home build. Depending on the specifics of the loan that is being requested, some might quality for a specialty loan to build their home with. This is all done through a traditional financial institution. If you have an old home that is most of the way paid off or entirely paid off, then the money used from selling that home can go towards the purchase of building a home. Depending on how much the previous home was worth and how much the new home is going to be, you may break even, have some left over or you may require the use of a small bank loan to cover the rest of the costs. Some like to save their money and in doing this, they can purchase a smaller house build outright. This can be done with contractors that will use the money to build the home. However, it is important to get a quote from the contractors to find out if you have enough. There are many ways to have a home built, so make sure to consider each one of them to find out which one is going to work the best for you. Here at Contractors Today we have connections to some of the best home building contractors in the area. Give us a call or fill out the form below to get more information on them!